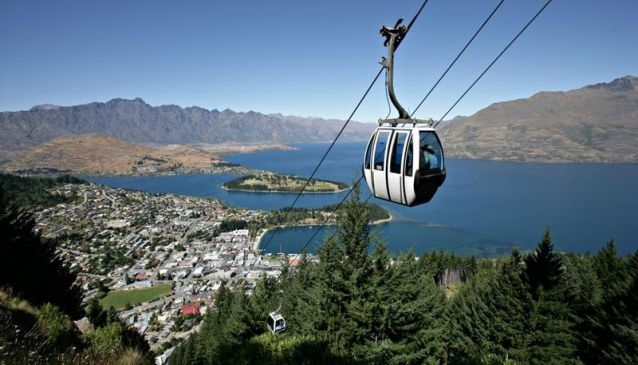 Located an easy 5 minute walk from central Queenstown and exclusively accessed by scenic Gondola, Skyline Queenstown is a 'must-see' attraction during your visit to Queenstown, New Zealand. The best views in the region are found here spread out in a spectacular 220 degree panorama. It's truly magnificent and awe-inspiring! Of course there's more to enjoy than just admire the view! Enjoy a sumptuous dinner in the Skyline's Stratosfare Restaurant. It is the perfect place to enjoy a delicious lunch or dinner with friends and family all while enjoying spectacular views over Lake Wakatipu and the surrounding mountains. Serving iconic New Zealand dishes infused with international influences, from fresh New Zealand seafood, to delectable desserts - there's something for everyone. Thrillseekers will find plenty to keep them busy too. Hurtle down the winding downhill tracks, race through the bends, or pull in for a breather and enjoy the panorama. Burn it up on the red track or cruise sedately down the blue track. Then hop on the chairlift and do it all again. Skyline Luge - it's 1.6 km of fast-paced freedom. Once is never enough! Take a trip down the Southern Hemisphere's first Gondola accessed downhill mountain biking tracks. Attach your mountain bike to your Gondola cabin at the Skyline base and enjoy the leisurely uphill Gondola ride before detaching your bike and taking on the legendary challenges of the Queenstown Bike Park! Discover the night sky, tour the stars and beyond with our expert Astronomy guide. Perched high above Queenstown, and surrounded by mountains, stargazers have the opportunity to access a 'hidden world' not seen by the naked eye.Tours run nightly and start times vary with sunset. Spectacular views, unique location - an unforgettable experience! Look no further if you are wanting a conference or incentive venue with a difference. Skyline offers 5 extensive private function facilities ideal for meetings, themed dinners, special events and weddings. Please visit Skyline Queenstown website www.skyline.co.nz/queenstown or call +64 3 441 0101 for bookings and latest price information.